This is a very rare shot showing the entire terminal. This image appeared in Michael Krieger’s book “Where Rails Meet the Sea”, which I highly recommend to anyone with an interest in railroad/water transportation. 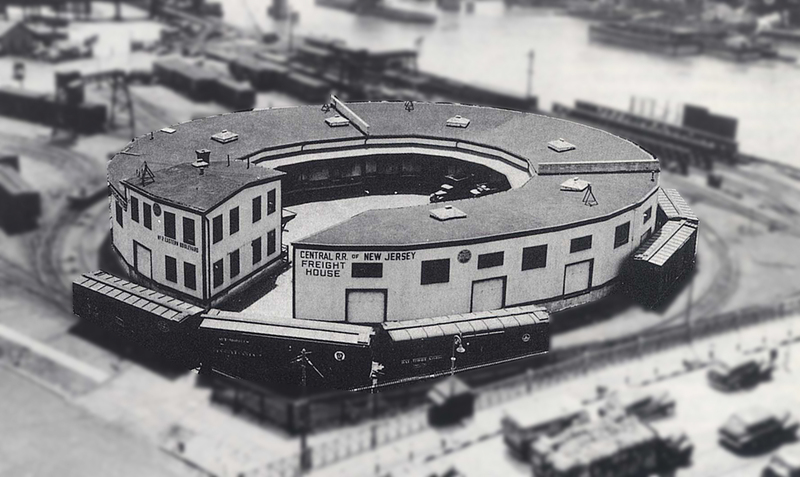 Taken in 1944, this image shows the round freight house, yard, and car float attached to the apron. 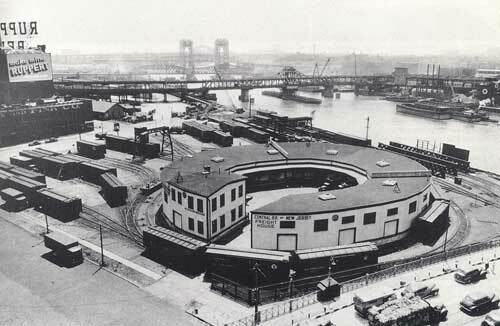 In the background can be seen the Willis Avenue and the Tribourough Bridges. The curved three way turnouts at the lower left of the image is “Part 6” of the build. Just peeking around the corner of the freight house is the idler car and the corner of CNJ 1000. Best viewed from the large version of the image.